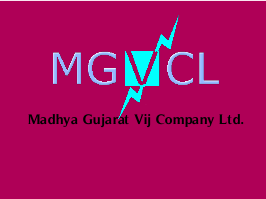 Madhya Gujarat Vij Company Ltd (MGVCL) has published Advertisement for below mentioned Posts 2017. Other details like age limit, educational qualification, selection process, application fee and how to apply are given below. Educational Qualification: Special LLB with minimum 60 % from Government Recognized University with the regular course or five years integrated course in law with 60 % marks. Required Experience: Minimum 03 years for Circle Office & Corporate Office & For Corporate Office its Minimum 06 years of working experience in Corporate Sector/Public Sector/Power Sector or as practicing Advocate in Court of Law. Age Limit: 35 years for UR candidates and 40 years for SEBC Candidates as on 25-07-2017. For Assistant Law Officer (Circle Office & Corporate Office): Pay scale of Rs.17,300-38,610 plus DA, HRA, CLA, Medical, LTC as per Company’s rules. For Assistant Law Officer (Corporate Office): Pay Scale: Pay scale of Rs.21,200-42,000 plus DA, HRA, CLA, Medical, LTC as per Company’s rules.